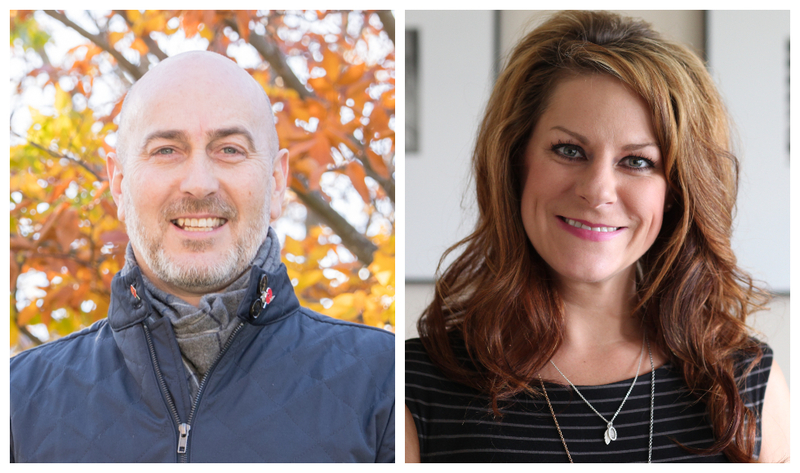 The Great-West Life Workplace Post-Doctoral Fellow will work with James Gillett and Marisa Young on projects that focus on mental health and resilience. Great-West Life is donating $100,000 to McMaster to fund a post-doctoral fellowship focused on improving mental health and resilience related to work-life balance. The two-year philanthropic investment in the Workplace Post-Doctoral Fellowship will allow an early-career researcher to work on two key interdisciplinary projects with McMaster researchers. “In each of these research initiatives, our research network is committed to working with the Great-West Life Centre for Mental Health in the Workplace,” says Jeremiah Hurley, Dean of Social Sciences. The first project, led by James Gillett, associate dean of graduate studies and research in the Faculty of Social Sciences, will examine how to foster resilience among individuals aged 18 to 25, considered at high risk to develop mental health disorders. Their research will help offer remedies for risk factors and provide lifelong skills to build resilience in the face of work-related adversity. The second project, led by sociologist and early-research-award winner Marisa Young, will focus on finding solutions to mental-health challenges arising from the struggle to balance work demands with the needs of family life. Work-life balance is a major risk factor for workplace mental health and a leading contributor to disability claims. “The fellowship will enhance our knowledge of mental-health challenges arising from work and life transitions, and will help us develop effective solutions to these challenges,” Hurley says.